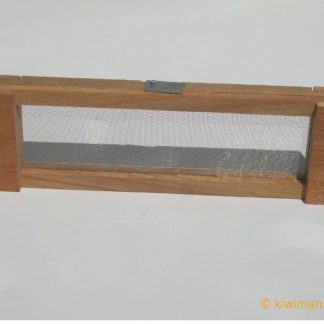 A Queen Excluder is used by beekeepers to separate the brood area from the honey supers. 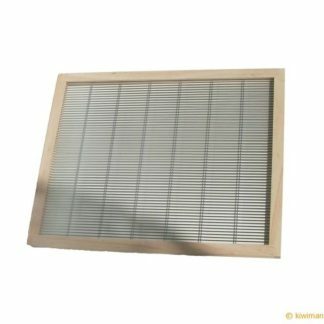 This avoids having to remove brood cells from your honey frames. 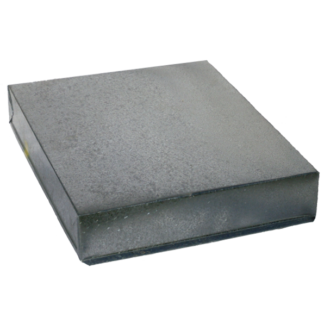 Other uses include, used as a divider for splitting a hive and various other queen raising methods. The gaps in the queen excluder are too small for the Queen, but fine for the worker bees. 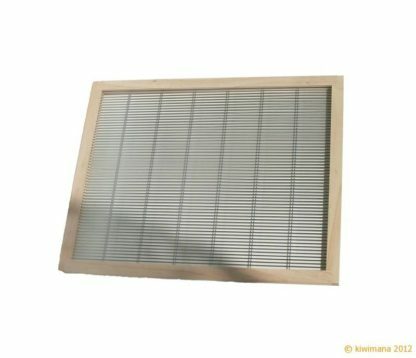 This keeps the Queen from laying above the queen excluder and avoids the problem of getting brood in your honey. 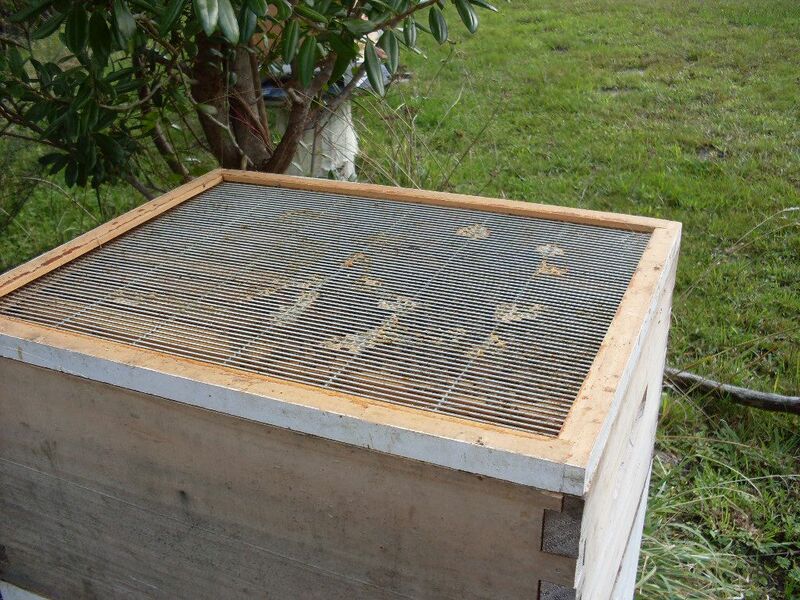 The metal-grate has a wooden frame which gives a Bee-Space so you don't crush Bees. The Queen excluder should be removed in the Autumn; otherwise, the queen will not be able to move up with the winter cluster and would die from exposure. 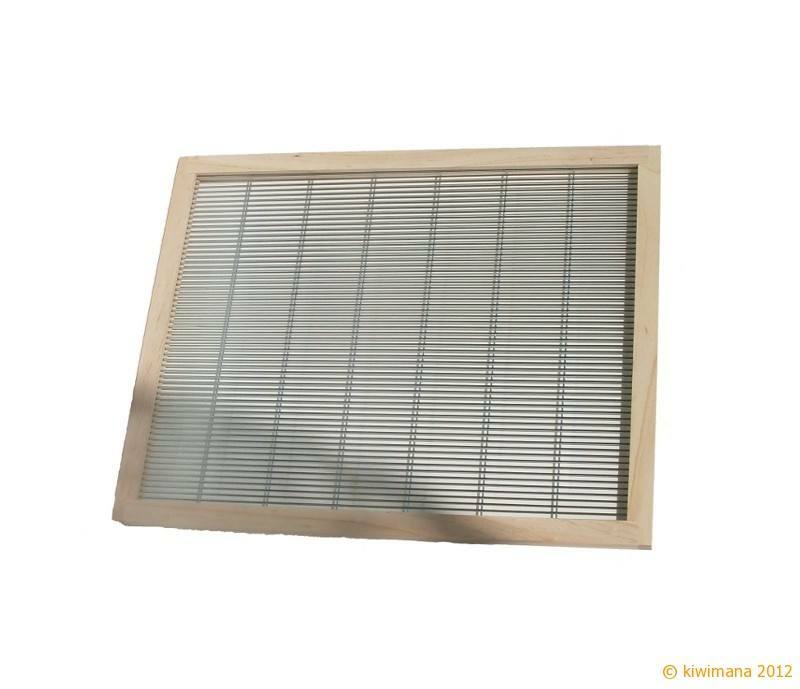 Some beekeepers place these below the hive mat over the winter months. We also use a Queen Excluder when we split bee hives, this is a versatile piece of equipment that every beekeeper should have. Our excluders have wooden frames and with a metal excluders. You can read more about Queen Excluders at Wikipedia, the article is HERE. Well made. Haven’t used yet – new hive.